Jack proudly served as a Sargent in the U.S. Army during the Korean War and received many service awards. He owned and operated Prior Plumbing and Heating, established in 1947, until his retirement in the mid 1990’s. He was well respected by his employees, customers, and the community. Jack loved having a good time with his family and friends. He enjoyed trips to his cabin in Lewiston, MI., deer hunting, cooking, polka dancing, playing cards, traveling collecting clocks, and “building projects”. He will be remembered for his adventurous nature, a great sense of humor, and a big heart. He will be missed by all who knew him. Mr. 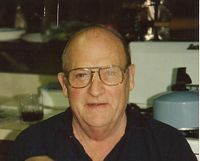 Prior is survived by his children Dan (Donna) Prior, Cindy (Renato) Anselmino, Tom (Amy) Prior, Jackie (Anthony) Lepore, and Laury (Mike) Motloch, a sister Kathleen Simons, 13 grandchildren and 5 great grandchildren. He was predeceased by a brother John Edward Prior and a sister Marie Wurmlinger. A memorial mass will be held at 12:00 PM Saturday December 13, 2014 in the Our Lady on the River Parish St. Catherines Catholic Church, Algonac. A memorial visitation will be held from 1-4 & 6-9 PM Friday in the Gilbert Funeral Home, Algonac. Military honors service will be held at 3:00 PM Friday in the Funeral Home. Memorial donations may be made to the Family Wishes.